Last week, a rather large box appeared out the blue, and inside was a rather wonderful surprise. 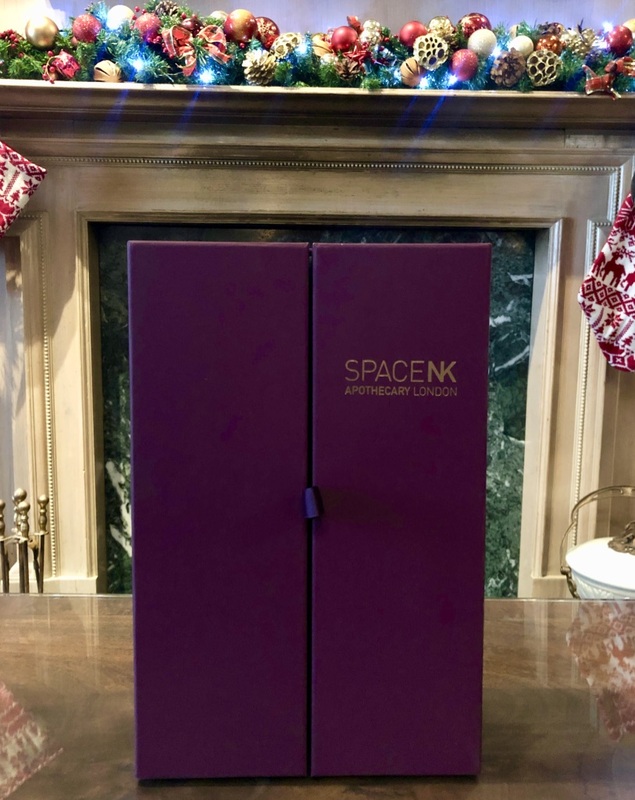 Space NK had very kindly sent over one of their incredible advent calendars. This year, it feels like there has been a real push on seriously luxe calendars, and I think Space NK’s offering tops them all. Coming packaged in a chic purple box, you’ve got 25 beauty gifts which can see you right through until Christmas. Inside, as you’d expect – each of the products come individually packaged, in gorgeous gold, plum and emerald boxes. I love the deco styling – and mix of box sizes makes for a rather exciting start to the mornings. 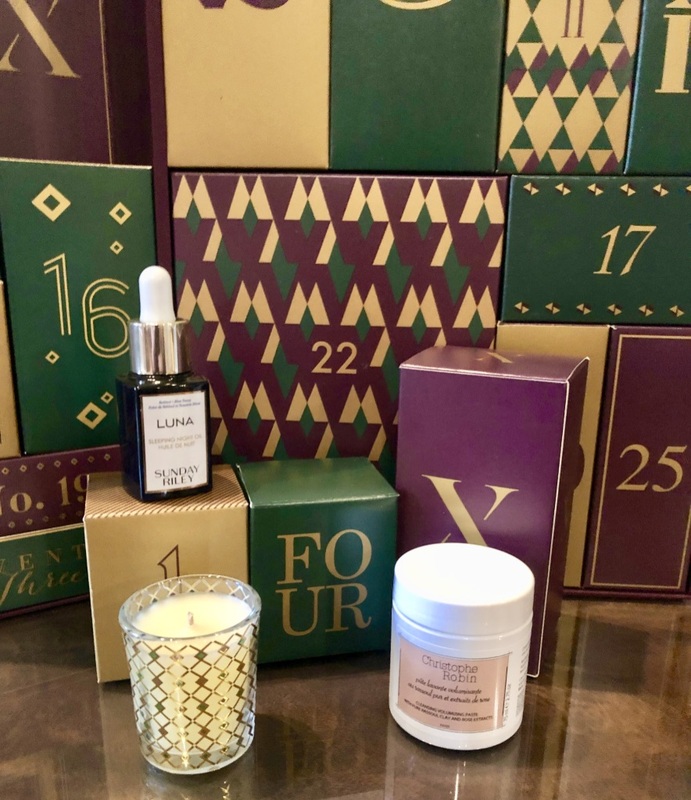 The mix of products inside the calendar is wonderfully balanced between skincare, makeup and luxury goodies, meaning each morning you’re going to get a wonderful surprised. 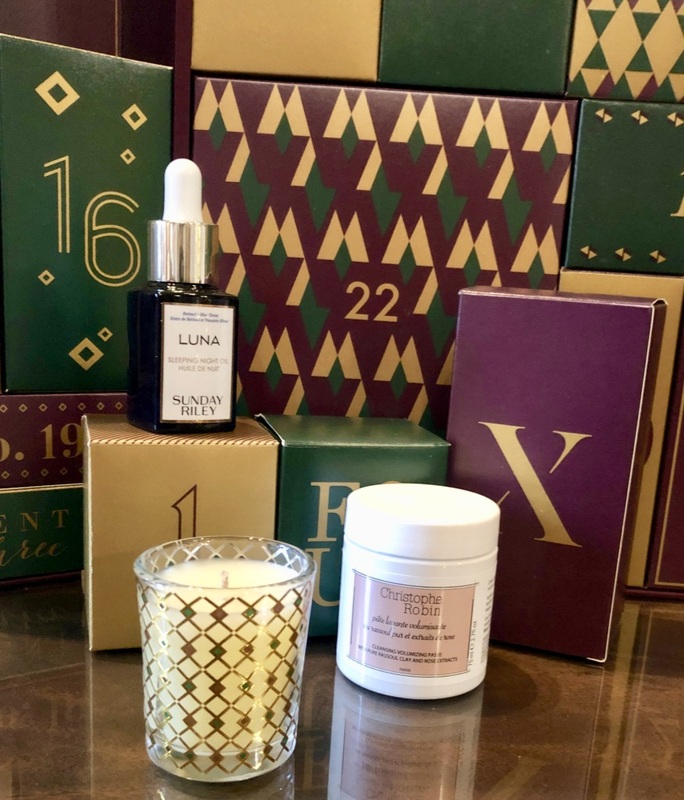 The month kicked off with a mini Space NK Shimmering Spice candle, which smells pretty much exactly of Christmas, I opened up a random selection of four days to see what’s in store, and I was not disappointed! With brands like Christophe Robin and Sunday Riley, the calendar is filled with products and brands I’ve been absolutely dying to try. Although I’ve packaged them all back up in their respective boxes, I am counting down the days until I get to crack open the Luna Oil, the Cover FX Glitter Drops (perfect for Christmas) and the Oribe Mystify Spray. The contents have a total worth of over £600, and there isn’t a product int he lineup which you wouldn’t be absolutely thrilled with, and it’s going to make my run-up to Christmas far more glamorous! If you’re interested to find out what’s inside – I’ll be sharing each morning’s goodies on Instagram ! 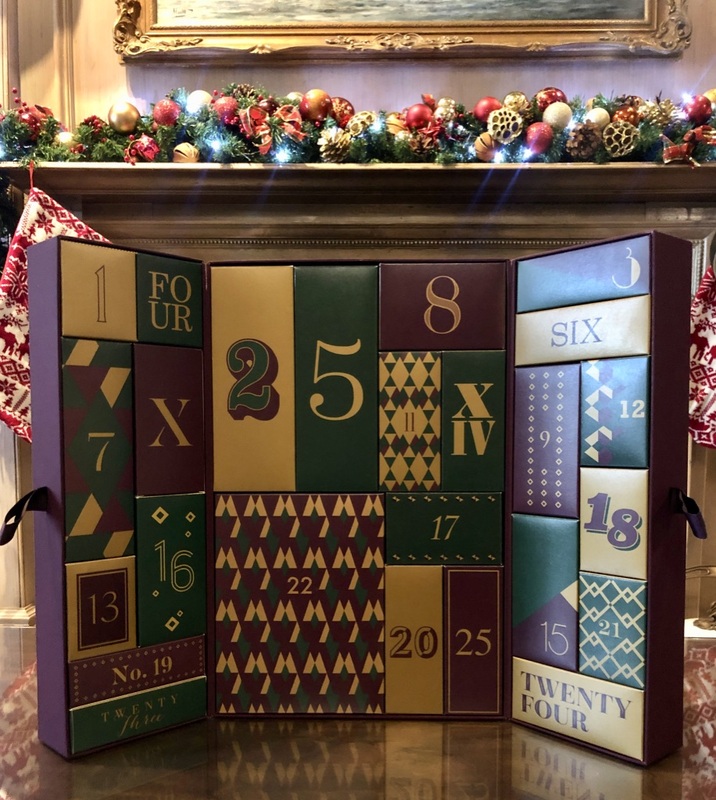 Space NK’s Advent Calendar is priced at £250 and is available here.